Outstanding value for money! 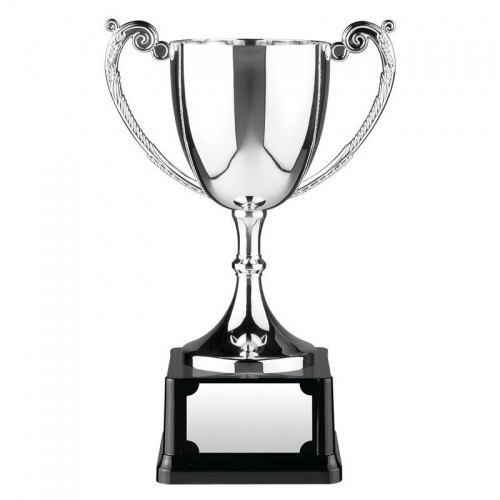 Nickel plated replica cast trophy cups with ornate handles and integral heavyweight square bases with engraving plate. They are tarnish free and have the feel of real quality - the 16in version weighs in at nearly 5kg! 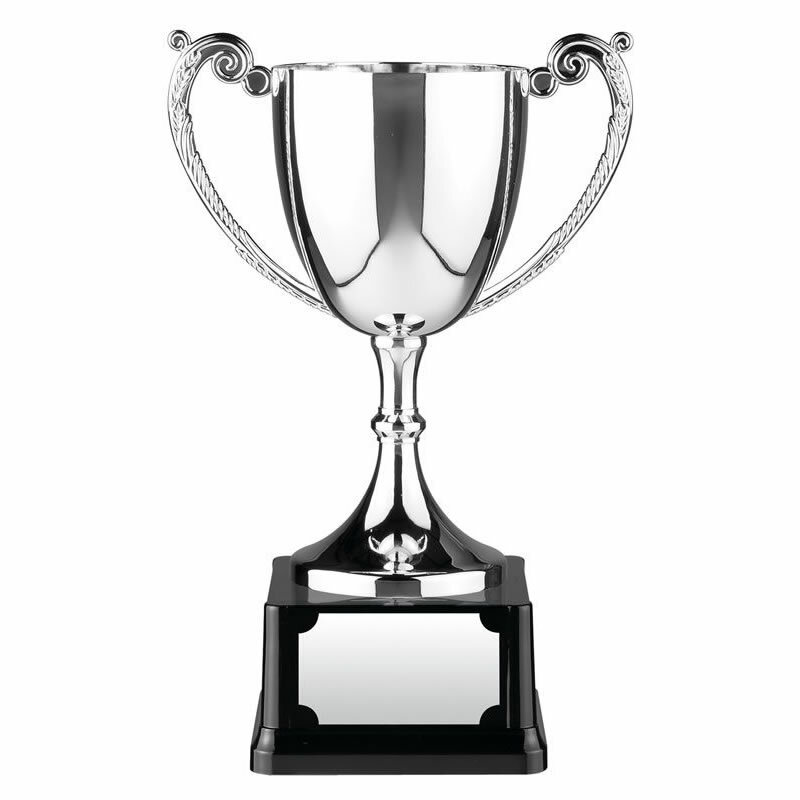 An inexpensive sports trophy or general awards trophy that can be engraved on the trophy body as well as the engraving plaque on the base. Each trophy is supplied boxed. Ordered three of these trophies for our club awards and was very pleased with them. Delivery was very quick and the engraving was perfect. Will definitely order again.